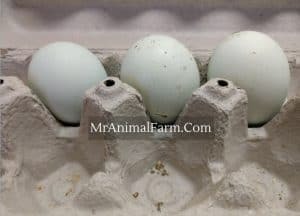 If you are thinking about getting started raising chickens, or perhaps you are raising your first baby chicks you will likely want to know the answer to the question “how often do chickens lay eggs”. 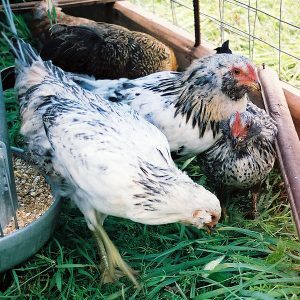 You might already have some ideas about your new backyard chickens and their egg laying. 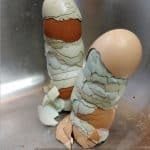 Perhaps you know what the signs your chicken will start to lay eggs soon are. 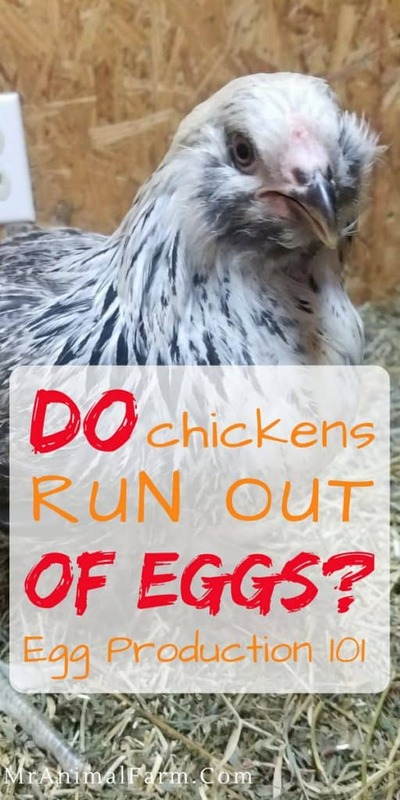 You might have asked do roosters lay eggs? 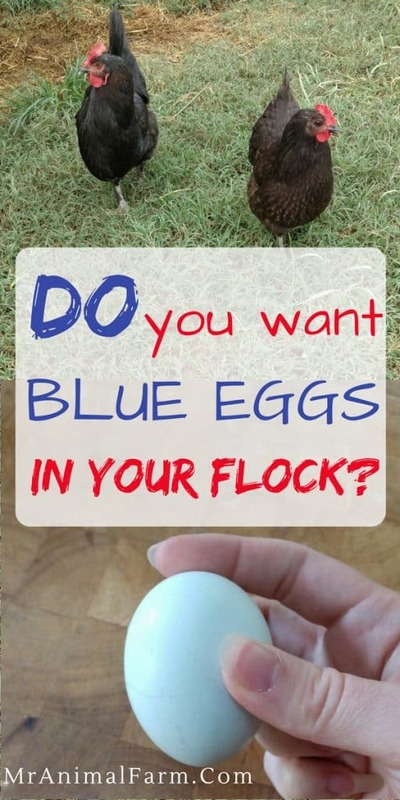 Or you may have looked at how to help increase egg production. 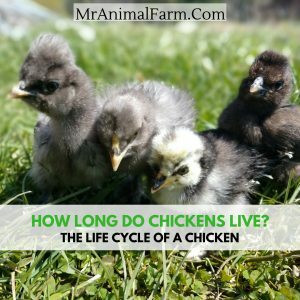 You might still want to know how many eggs does a chicken lay a day? 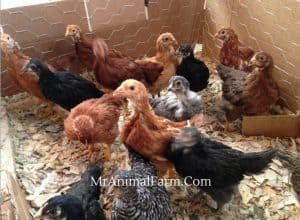 If you are thinking about raising chickens one of the first things that you will need to do is to decide what chicken breeds will be best for your flock. When we first started looking at chickens, we were SHOCKED at how many different types of chickens there are! 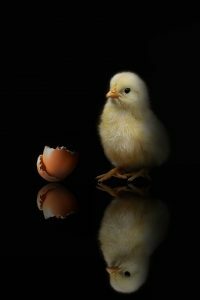 Whether you will be hatching your own chicks, buying day old chicks brooding them or buying started chickens you will need to know why you are getting chickens in the first place. 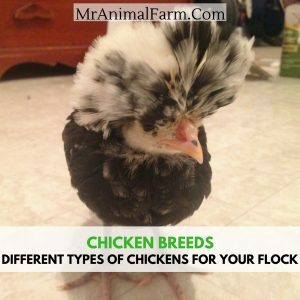 Knowing your reason why will help you to narrow down which chicken breeds are best for you. If we are being honest, when we first got chickens we didn’t really look at the different types of chickens and what their uses were. We basically looked at the options available and thought – ooh that one is cute, and that one has a cool pattern, and I love that one’s cool feathers! 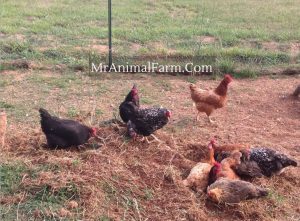 Picking out chicken breeds based just on what they look like provided us with a fun to look at flock. However, if you are looking to have chickens that are more than just “fun to look at”, then you probably want to think a little harder about which chicken breeds meet your needs best. There are several hundred different types of chickens. So, it might seem a little daunting knowing that there are so many different options to choose from! The first thing you can do is decide your purpose. 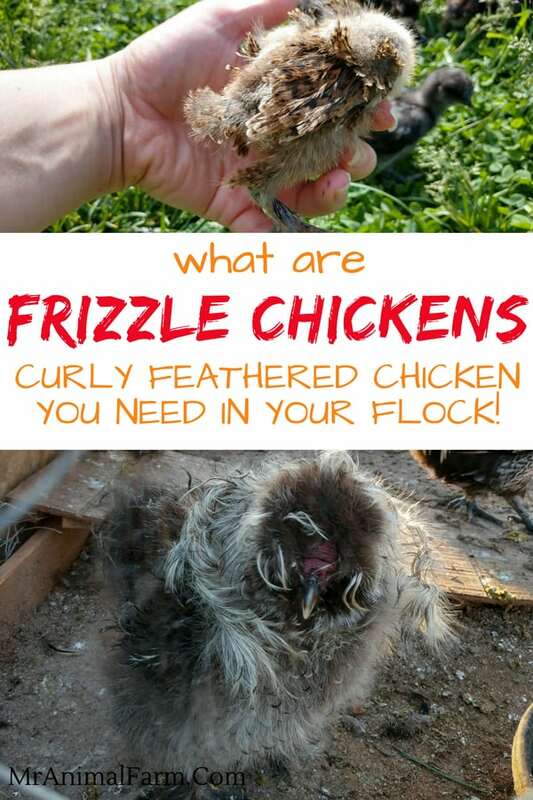 Most chicken breeds can be dropped into different “buckets” or “purposes. You can divide chicken breeds into the several broad buckets. Size is the first bucket you can use. Chicken breeds come in two main sizes: standard or large fowl and bantam chickens. Large fowl chickens are chickens that are your standard size. Within large fowl, some breeds are of course larger than others. Generally, you can think of large fowl as large, medium or small. 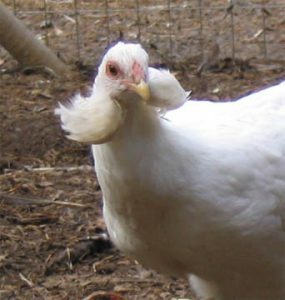 In large fowl, the largest chicken breed is often noted as the Jersey Giant. 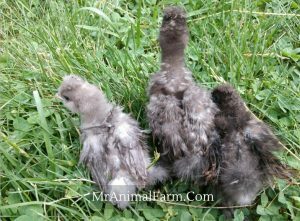 Other large chicken breeds are the Braham, Cochin and English Orpington. 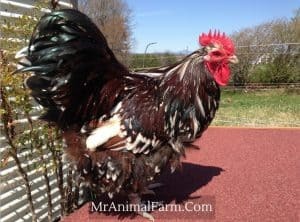 The largest chicken breeds listed here are usually a minimum of 8 pounds, but some have been known to get closer to 15 to 20 pounds! Most large fowl chicken breeds are a little smaller and run more in the 4 to 8 pound range. 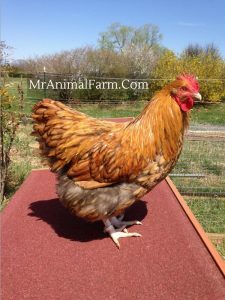 Some other common large fowl breeds are: Speckled Sussex, Barred Rock, Rhode Island Red and Easter Egger. 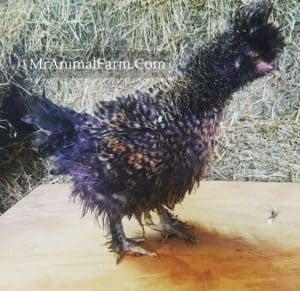 Bantam chickens are basically like a mini-version of a chicken breed. 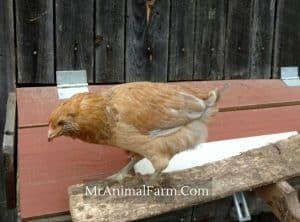 There are some bantam chicken breeds who only come in bantam size. 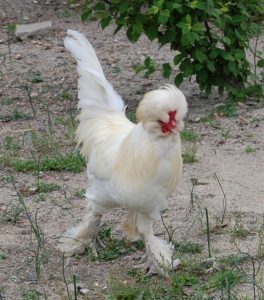 While other bantam chicken breeds have a bantam size and a large fowl size. 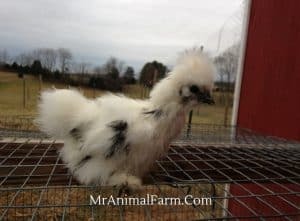 Silkie chickens are one example of bantam chickens that do not have a large fowl counterpart. Cochins and Easter Eggers are types of chickens that come in both bantam and large fowl sizes. Purpose is the other bucket you can use to look at different types of chickens. Generally, chicken breeds can be divided into 4 different purposes – or uses. The first purpose would be chickens for eggs. 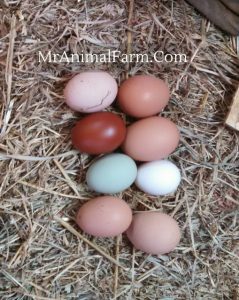 Not all chicken breeds were created equally when it comes to laying eggs. 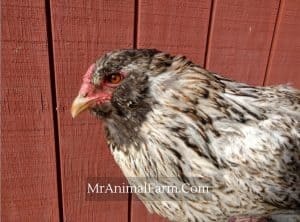 You might think when you are just getting started with chickens that all chickens lay eggs, therefore, it shouldn’t really matter what chicken breeds you get. That is definitely NOT the case though! 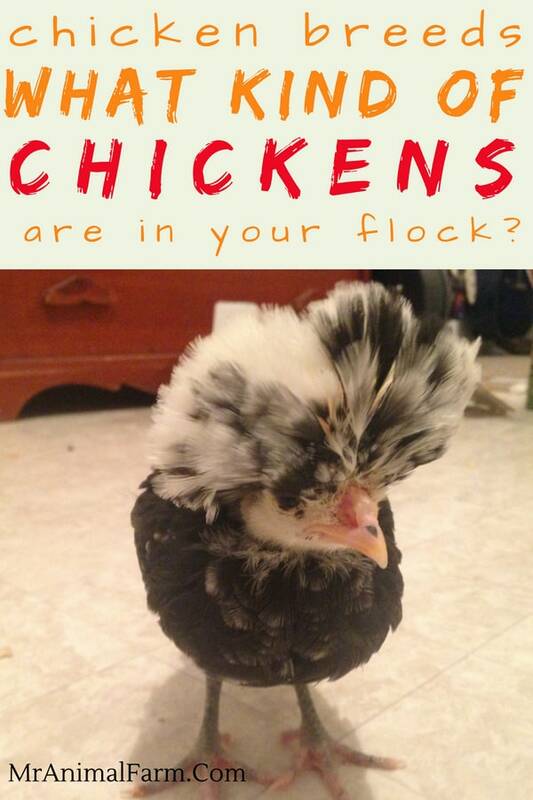 Some chicken breeds lay 5 – 7 times a week (like Rhode Island Reds, Black Australorps and Leghorns). Other chicken breeds lay more like 3 – 5 times a week. Weather can also affect how well a chicken breed lays eggs. 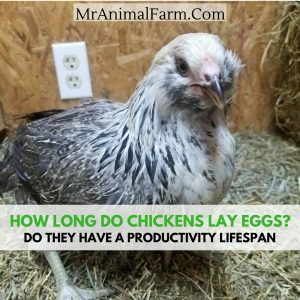 Some types of chickens are made to lay well year round. Others are cold hard and some are heat hardy. Additionally, not all eggs themselves were created equally. 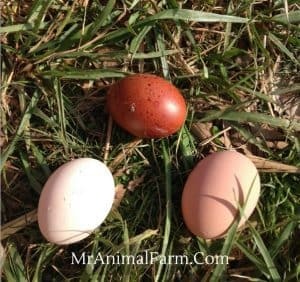 Some chicken breeds lay smaller eggs (like silkies) while others lay large eggs (like Orpingtons). 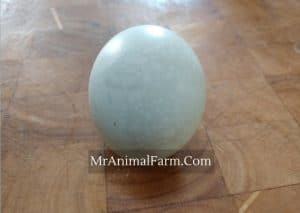 So, as you can see, if you are looking to get chickens specifically just for eggs, you will probably want to choose the chicken breeds that lay the largest eggs most often. 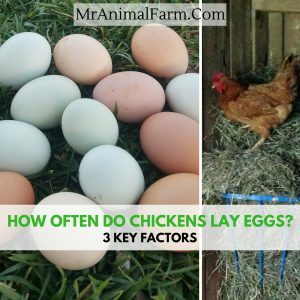 In addition to the amount of eggs a chicken lays. 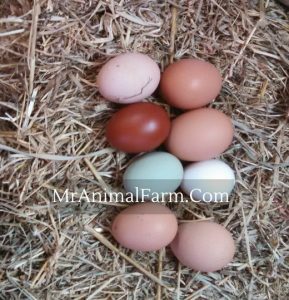 Certain chickens lay different colored eggs! 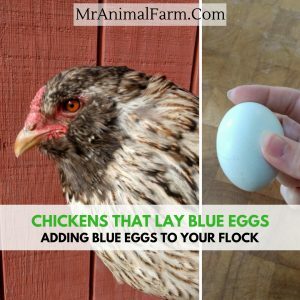 There are chickens that lay white eggs, chickens that lay brown eggs and even chickens that lay blue eggs! The second purpose would be chickens for meat. 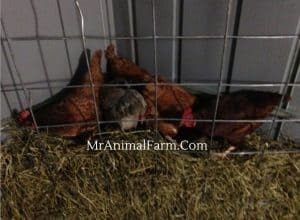 If you are getting chickens as a way to raise your own meat, then it will be important to get chicken breeds that are well suited for that purpose. 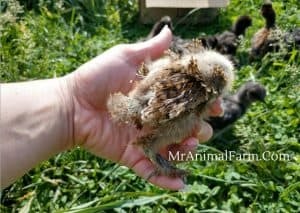 While it is true that all types of chickens will generate some meat if you raise and butcher them, they may not all be the best for that purpose. 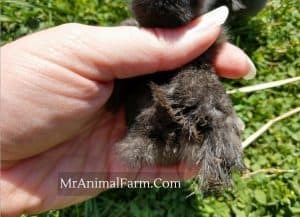 If you get smaller breeds, slow growing breeds or less meaty birds you may well be pretty disappointed after you spend the time and money to raise them and butcher them. 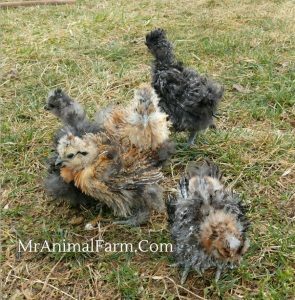 Therefore, if you will be raising chickens for meat, you will want to get chicken breeds that are well suited for that purpose. Most chicken breeds used for meat are heavy, big birds that mature and grow fast. If you have heavy, fast maturing birds then you will get the most meat in the shortest time which is a big bonus. Some common chicken breeds used for meat are Cornish or Broilers. 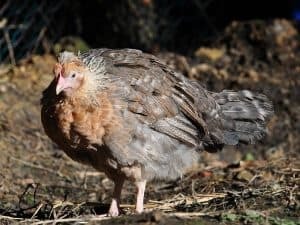 Be prepared, most meat chicken breeds are big, ugly and don’t live much over their butchering age since they have been bred specifically to grow super big in a short timeframe. The third purpose would be dual purpose chickens – those that will be used for both eggs and meat. If you want chickens that will meet the needs for generating both meat and eggs, you probably want to look at dual purpose chicken breeds. These are types of chickens that will produce decently for both meat and eggs. 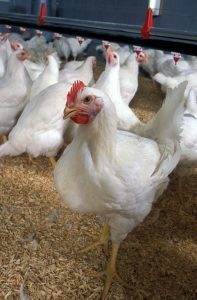 You may not get THE BEST egg layer or THE BEST meat bird by getting chicken breeds that do both things well. 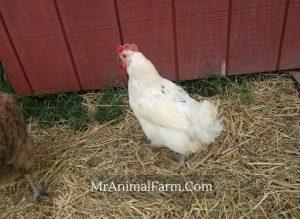 However, there are several chicken breeds that will suit both needs without disappointment. 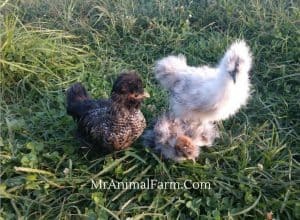 Dual purpose chicken breeds are ones that will lay decently over time, but also get heavy enough and mature fast enough that you can butcher them for meat. Often times, people will raise dual purpose chicken breeds and they will keep the hens (females) for eggs. They will then butcher the roosters (males) when they are old enough for meat. The fourth purpose is for fun – chickens for pets, chickens for show, chickens that look cool. The fourth bucket that you can divide chicken breeds into is for fun! 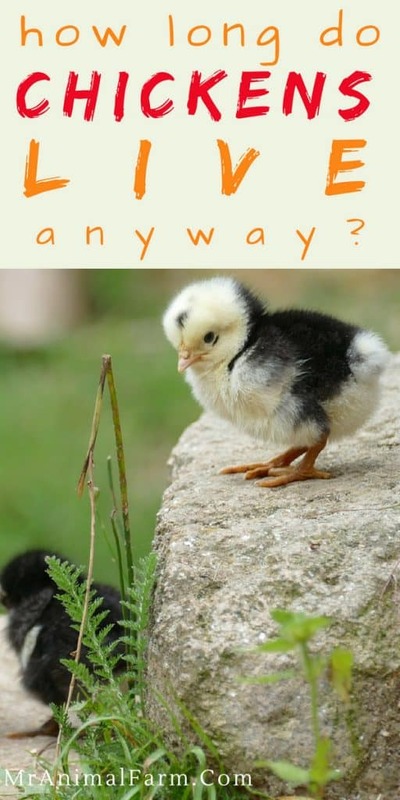 Now, having chickens for fun may mean a lot of things. 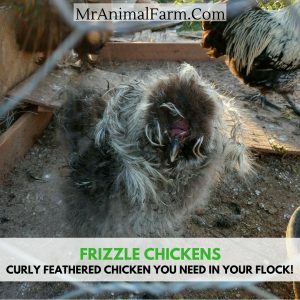 It could mean you want friendly chickens for pets, fancy chickens to show or just chickens that you think look cool for your yard. Of course, there are some types of chickens that are great egg layers and friendly so they can be wonderful pets too. 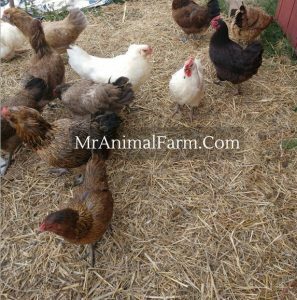 But there are many chickens that their main selling point, or best characteristic is that they are friendly or easy to handle making them great for pets. 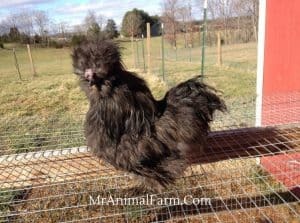 Silkies are one super friendly chicken breed that makes a great pet. Another fun reason some people keep chickens is for show. People will show their chickens just like you show dogs. Most any APA accepted breed can be used for show. They, of course, all have their specific breed and color standards. And then, there are chickens that just look cool. 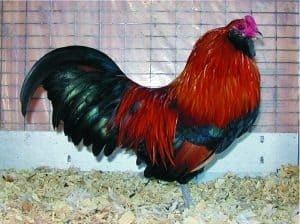 Personally, I think a lot of the crested breeds like Polish and Sultans are some of the coolest looking chickens. Rare Chicken Breeds are another one of the types of chickens that you can look at. Usually people will get rare breeds if they are looking to help conserve a certain breed that they really like. 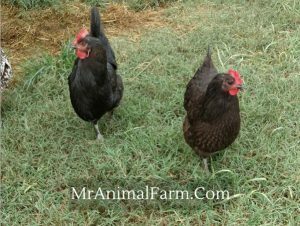 Rare Chicken breeds are also good choices if you are looking to make money raising chickens. Having a rare chicken breed means not as many other people will also have that breed. 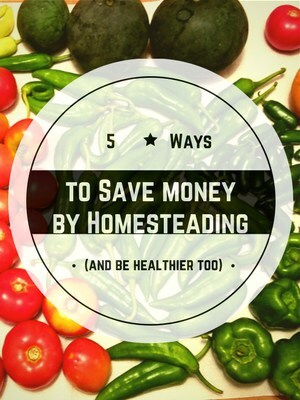 Typically, this will make it easier for you to market and sell the chickens. 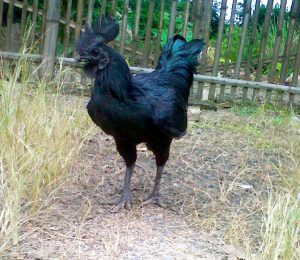 A few rare chicken breeds are: Ayam Cemani (don’t be shocked at their HIGH price tag! ), Sumatra and White Breese. So, how will you decide which of these chicken breeds is the best for you? 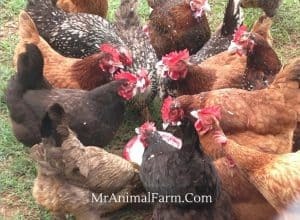 Now that you have an idea of just how many different types of chickens that there are to choose from, you might be feeling overwhelmed at all of the choices! 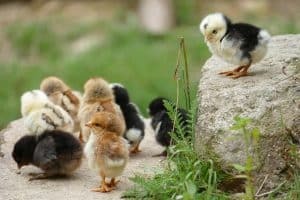 The best way to decide which chicken breeds are right for you is to decide WHY you are getting chickens. That will narrow the options down. 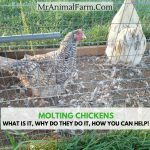 After you know why, then you can start looking at the specific chicken breeds that match up to your purpose. 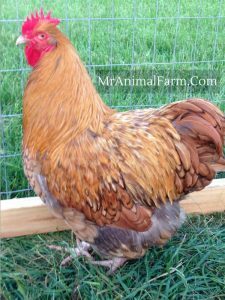 Do you have a favorite chicken breed? Let us know which one below!